The most basic part of our skin care routine is the soap we use every day. This ubiquitous material is fundamental to our health, yet we tend to use mass-produced and cheaply-made soap which is laden with excess fillers. It is for this reason that we started making our own soaps, skin oils and other bath and body products. We know exactly what goes into our products, and source from suppliers which are ethical and, when possible, local. All of our soaps, balms, lotions and other goods are made from the highest quality oils, butters, waxes and other ingredients. We don't skimp on our process, which means you'll get a great quality product, every time. We never use palm oil, phthalates or parabens. Enjoy the pleasing textures and aromas of our products, and how they make you feel. After all, taking good care of yourself is fundamental. All of our products are made by hand in small batches right here in Colorado. 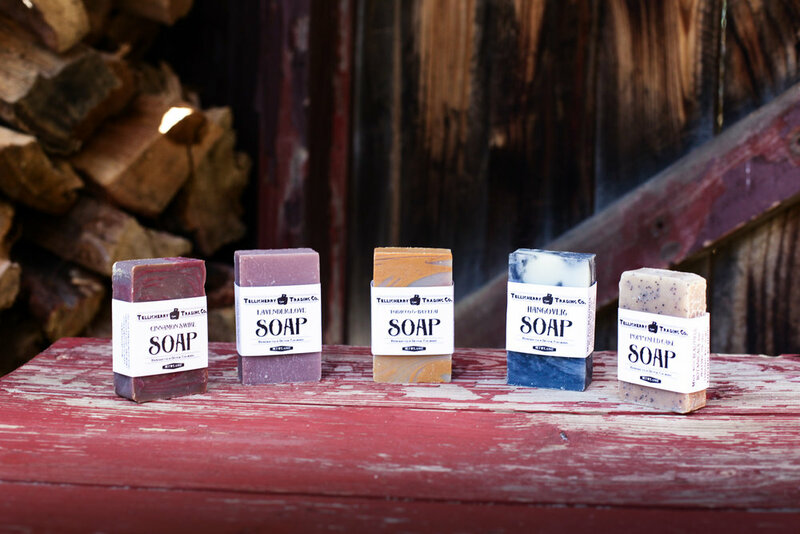 We are proud to be Colorado's only women- and- native-owned soap making company, and love working with locally-owned retailers and vendors to support our local economy and bring you products you will love. Contact us for more information about our products or to feature Tellicherry Trading Co. in your shop.